Do you use your mobile phone more for calling or texting? If it’s the second option, you’re probably grumpy about the cap of 200 SMSes a day imposed by the telecom regulator. Of course, a big SMS bill doesn’t help. Yes, you can opt for the special SMS package, which is offered by most service providers and one that lets you send messages at a lower rate. However, this special offer is confined to a small number of people. So, what’s the way around this dilemma? You can get past both budgetary and regulatory restrictions by moving from conventional text messaging, which is billed to the operator, to applications and services that are either provided by third parties or mobile phone manufacturers. Many of them let you send text messages, files, photos and videos to your heart’s content, as long as you can access the internet on your handset. Most of the apps come at no extra cost. You only need to pay for the data used in sending and receiving messages, which usually works out to be much cheaper than conventional texting. Here are some such options. 0ne of the smoothest messaging services, BBM is incorporated into the BlackBerry handsets. Users can send (and receive) an unlimited number of messages, pictures, even files. You can add people to your contact list through their PINs (a distinct number that comes with with BBM). While there is no doubting the efficiency of services like BBM and iMessage, the fact that you need to invest in expensive handsets limits their utility. This is where a service like WhatsApp comes in handy. Just install the app on your mobile phone and exchange messages and pictures. It works across platforms, and though it is separate from your regular messaging app, it scans your contacts and automatically includes other WhatsApp users in your contact list, saving you the trouble of sending out invites. However, it is not free for all platforms. While you don’t have to pay for Symbian, it costs about Rs 52 for an iPhone. Messaging apps do not charge per message or require a special plan. They work fine with your standard GPRS/ EDGE connection. If your network is erratic, you can switch to Wi-Fi. Most messaging apps let you swap videos and photos, some even let you send files, without incurring any extra cost or requiring any special service activation. When you use a messaging app, you only pay for the internet data used, which is generally a small amount. This is particularly handy if you want to send messages to people in other countries. It’s the best option if you travel frequently as most service providers don’t charge for roaming for GPRS/EDGE on post-paid connections. So you can text away without worrying about the bill. 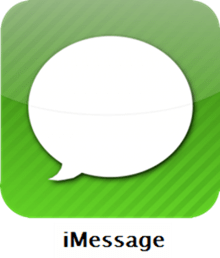 iMessage arrived on the iPad and iPhone via the latest version of iOS (iOS 5) and the service, which is free of cost, has become a rage. What sets it apart from other services is that if the person to whom you are sending a message has either of the above two devices, it converts it from an SMS to an iMessage. Nimbuzz combines several instant messaging (IM) clients, so you can exchange messages, photos and videos with your friends across a number of IM services, such as Google Talk, Windows Live Messenger, Yahoo! Messenger, even Facebook Chat. You can even use it from a computer and make free phone/video calls to other users. and off course Yes, this is a social networking site rather than a messaging service, but it allows you to swap messages, pictures and links with all your followers. You don’t need to install an additional program on your device and can access Twitter from a computer too. Its restriction to 140 characters may be a blessing or a bane. This is something I am really excited of with some unusual advances in twitter where HP and Intel will be teaming up with twitter for hosting the first-ever live stream of a concert on Twitter next week at the 2012 Consumer Electronics Show. 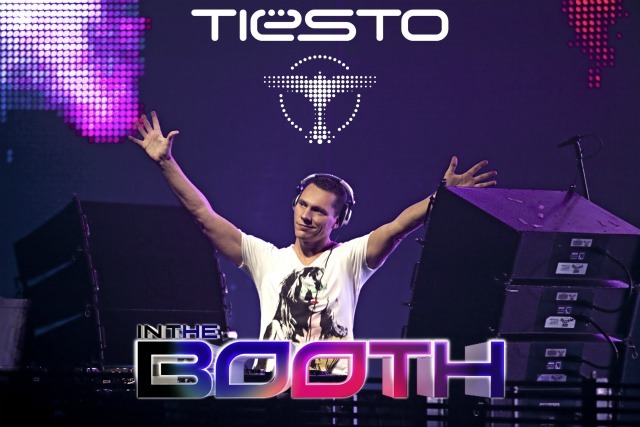 The headliner: who else electronic music master Tiësto. Twitter users will also be able to interact with others on the site while watching the live stream next week. HP and Intel execs will also be live tweeting from the show via the hash tag #TiestoLive. How is the new year treating you guys, hope its rocking. C U next week.. The fact remains that Web is full of free website hosting services. There are number of hosting services on the web, and they are keen to provide free website hosting services for the eager ones. There was a time when free website hosting services was quite popular among the website owners. Imagine, the extent of possible savings for a website owner, as the owner doesn’t have to shell even a single pie from the coffers, and the hosting is done free of cost.However, with the advent of cheap web hosting services, free website hosting services had gone out of the window. Still, free web hosting services remains a top catch for someone who has a low budget for his web ventures. There are many free web site promotion activities possible with free web hosting services. More importantly, you need to understand your site, and choose proper free web hosting services. It’s important that the chosen hosting services do provide you with free website tools. Though, you won’t get all the required tools for building your website, but significantly, some of the free website hosting services has known to give enough free website tools to build your own website.Some of the free hosting services even go down to the extent of helping you to point the web address to the chosen domain name, and nevertheless, that are a handy free website tool. 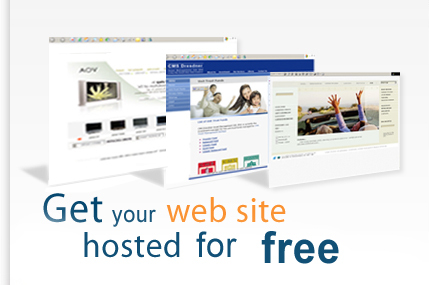 The most significant criteria while choosing a free website hosting services is the bandwidth. Take pains to find the bandwidth such would offer you. In case, your free web site is provided with limited bandwidth, then your site might face access problems. You are advised to choose free website hosting services which allow you to have sufficient bandwidth for your site. Now the advertisement section. For free hosting services, it’s the advertisement blocks that are perhaps, the most important consideration. The focus for them is to earn money from placing advertisements on your site, but the real question is what type of advertisements do they intend to place on your site. Text advertisements are fine, but pop ups and pop under could be very annoying for your guest visitors. Money you, many guest decide to block your web address, just because your website has a pop up, or a pop under ads. Therefore, preferably, if possible, choose a free web hosting services that doesn’t place pop ups, or pop under ads. Following the above tips would ensure that you get the best free website hosting services for you site. Let me know what do you think of free web hosting companies are they reliable and any good free web hosting companies you know which are not in the above list..
Google+ versus Facebook: :Let the Game Begin !! Google’s new Social Networking Site Google+ is up and running , which people have already started to refer as G+. After the failure in Orkut, Wave, Buzz and many more similar networking services this is fresh new attempt from Google to tackle on Facebook. Earlier this week, Google launched this new social networking service called Google+. Google+ is Google’s latest service in the social networking segment and will compete with the likes of Facebook and Twitter. If you spend time on Google or any of its services, then you may have seen the new black menu bar. Many wondered if this was just some new design from Google. As it turns out, that black bar is a sign from Google that something big is coming. That something is Google+. It is not yet the time to say who is better. But Facebook has the advantage of being first successful social network and has built a nation in seven years. Google is a very popular brand with lot of fans and cults but Google plus has yet to start growing its circle. 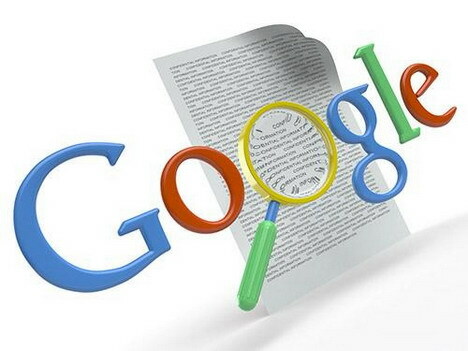 Google has advantage of having a lot of other web apps and features like Gmail, maps, web search, Picasa, Docs, voice and video chat, readers and lot more. Google has already integrated the G+ with all other of its service. Google have phone OS and going to pioneer OS for cloud user. Facebook has also plans for its own phone OS and have a good partnership with Microsoft. So are you ready to switch from FB to G+ ? Everyone loves their music on the move, and so we all need a good pair of headphones, the best music sounds even better with some of the cool headphones available in the marketplace. Here’s a list of the best headphones I think is worth the Mention. If you’re after a pair of great-sounding on-ears at a bargain price, look no further. With decent bass, bags of detail and a musical balance that embarrasses more expensive designs, they’re better than they have any right to be. And they look great, too. Price: ~$60. It’s not easy creating the perfect headphone. Music is so subjective that one human’s perfect pitch is a little lacking in bass for another, and too brightsounding for pedant no.3. The PFE 012s do about as good a job of satisfying disparate tastes as any in-ears we’ve tried. Building on the success of the pricier 111s, they dig up bags of detail, deliver sweet vocals and a palpable soundstage, and up the bass to party-worthy levels. They’re also barely-there lightweight and subtly attractive. They could easily sell for twice the price. Price: ~$80. Though the X10s were our favourite in-ears for years, the X10i now looks too pricey for the no.1 spot. Built-in iPod/iPhone controls are useful, but it’s the sound and size that really impress – the buds are slim as lolly sticks but sound thrilling and insightful. Price: ~$250. Thanks to amazing price reductions, the CX300-IIs represent even better value for money. Replace your bundled headphones with these and you’ll find out what you’ve been missing: deep bass, sparkling detail and dramatic dynamics. You’ll thank us later. Price: ~$60. We never had Dr Dre down as a fitness fan, but the headphones he’s designed for sweaty gym sessions are seriously impressive. Expect powerful, weighty and dynamic sound, then be pleasantly surprised by the in-line mic and three-button iPhone remote. Price: ~$300. Offering audio that’s full-bodied and punchy, with excellent levels of detail, the 10vis will stay firmly nestled in your lugholes thanks to a shapeable over-ear band. With phone controls on-hand , they’re a marvellous choice for affluent iPhone owners. Price: ~$600. Bose’s latest long-haul headphones are its finest yet. Wearing a pair is as comfortable as binding pillows to your head with silken thread, and both sound and noise cancelling are exemplary. For a louder, more rocking listen, try Monster’s Beats Studio. Price: ~$450. 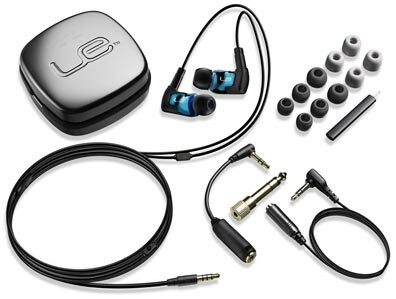 Your eyes don’t deceive – that is how much Shure’s flagship three-driver IEMs cost. They look and feel it, though, with a thick, replaceable cable that attaches to the buds via articulated joints. And the sound? Unbelievably detailed, utterly uncompromising. Price: ~$750. Here we have an excellent pair of noise-cancellers that are a significant step above ordinary budget headphones. Smooth, crisp and balanced sound along with Bluetooth capability and a powerful enough battery make this a winner. Price: ~$550. With a swanky headphone amp, these reference-quality , openbacked headphones create a sound to rival hi-fi speakers ten times the price. Got more dosh? Try the supremely revealing Sennheiser HD 800s or breathtaking Grado GS1000is. Price: ~$450. What’s you best headphone, leave a comment in the comments section of this post. Why millions of people are quitting Facebook ? Privacy threats and fatigue has led 1 lakh Britons and six million users in the US to shut down their Facebook accounts, with the same pattern expected to follow in other countries too. Facebook’s growth rate has slowed for a second month in a row, ironically, when the social networking site was aiming to reach its goal of one billion active users. Canada saw a fall of about 1.5 million users of the website, while in Russia and Norway numbers fell by more than 100,000 users. The company is now relying on developing countries to boost its numbers. Blogs are abuzz with speculations that the website could one day ‘sputter into oblivion,’ fearing the fate of its failing rival MySpace. There is a point at which the site can no longer grow, once it has established itself in a country, according to Eric Eldon, from the website ‘Inside Facebook’, which obtained the figures. “By the time Facebook reaches around 50% of the total population in a given country, growth generally slows to a halt,” Internet psychologist Graham Jones has predicted that Facebook users would suffer the same kind of ‘fatigue’ that comes whenever men and women get bored with trying anything that is new. “People get terribly excited about something new and after a while the novelty wears off,” he explained. What do you think of Facebook Privacy Policies.